As we’ve said many times before, car-based TV programmes outside of the obvious ones like Top Gear are - by and large - terrible. The vast majority are of the cringe-worthy workshop reality show variety that caters for the casual viewer, not for anyone remotely interested in cars. ‘Proving Grounds’, however, looks much more like it. Featuring 1980s-inspired touches, the show will star Road & Track writer Sam Smith plus racing drivers Parker Kligerman and Leh Keen. 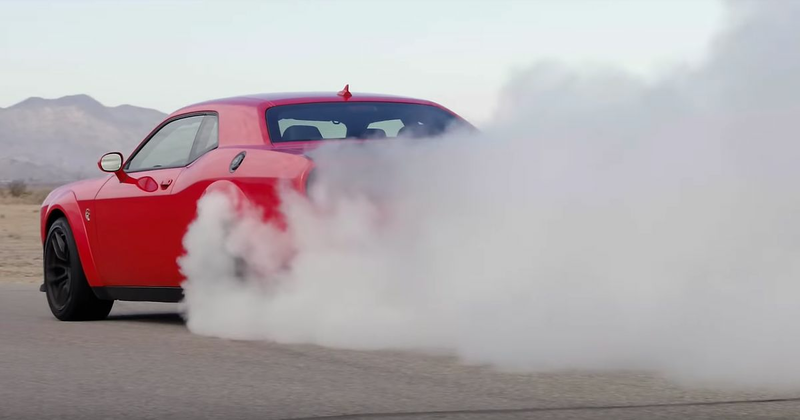 As we can see from this trailer, there’ll be various challenges, plenty of tyre shredding and a roster of cool cars that includes the McLaren 720S and Dodge Challenger Hellcat Widebody. Five weekly, half-hour episodes will be showing on NBCSN, the first of which will be aired on 21 October straight after the Kansas Speedway Monster Energy Nascar coverage concludes. Hopefully, there’ll be some way of viewing it on this side of the pond - fancy bringing it over here, Netflix?